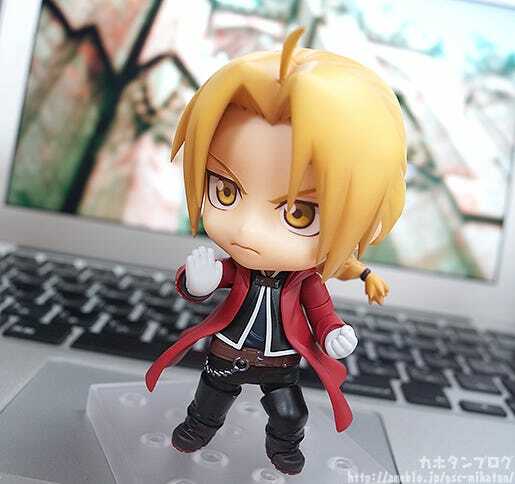 From the popular “FULLMETAL ALCHEMIST” series comes a Nendoroid of Edward Elric! 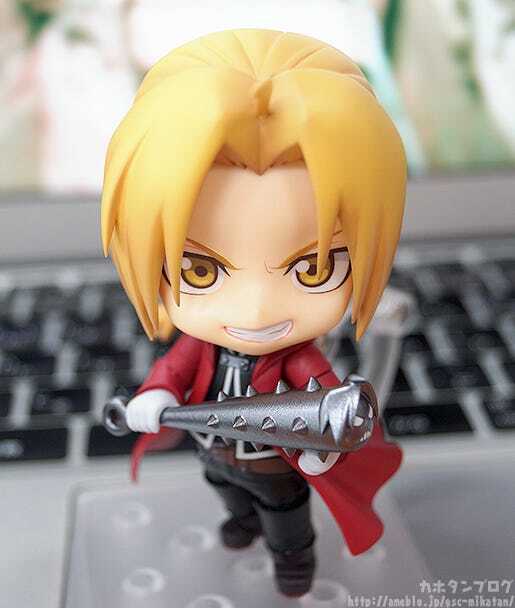 He comes with three different face plates including his standard grinning smile, a tough-looking serious expression as well as an angry expression perfect for when anyone calls him short! 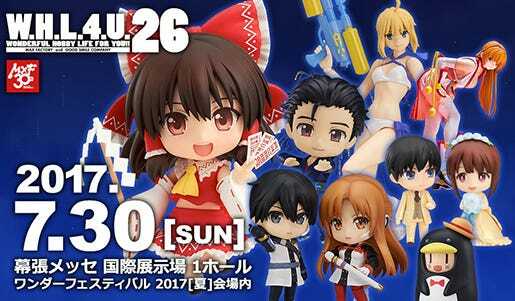 This was one of the items voted for during the Nendoroid 10th Anniversary Next Nendoroid Survey! Thanks again to everyone who voted!! He looks much more focused with this expression, with a tightly closed mouth showing his tougher side as he stands ready for combat! 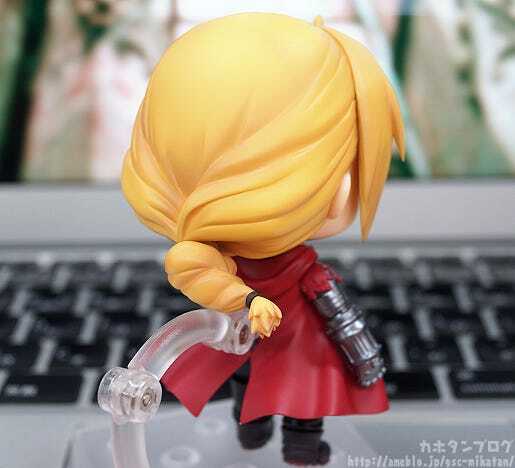 His iconic braided hair is connected with a joint allowing you to move it around to better match various poses! 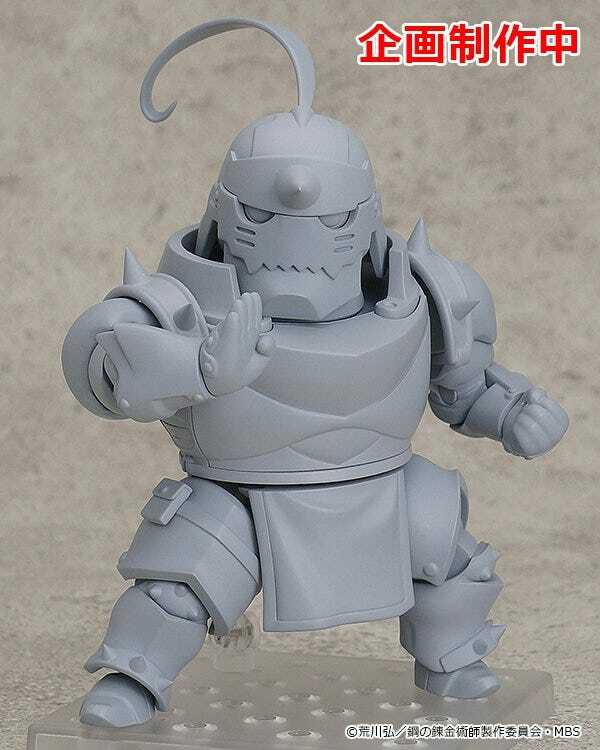 He is so small and cute… which leads me onto the next face plate! But anyway, let’s move on to the included accessories! 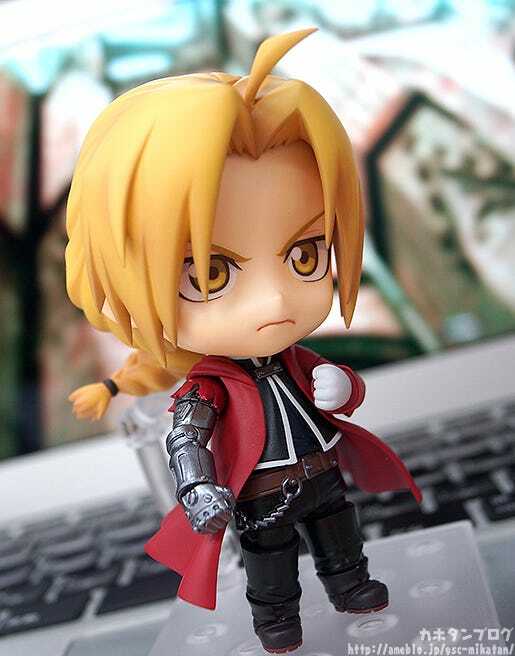 First up, he comes with an alternate arm part that reveals his automail arm! 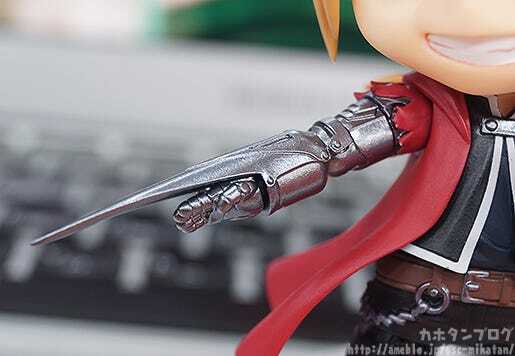 But that’s not the only alternate arm part he comes with! Crouching Parts + Half-Transmuted Wall! 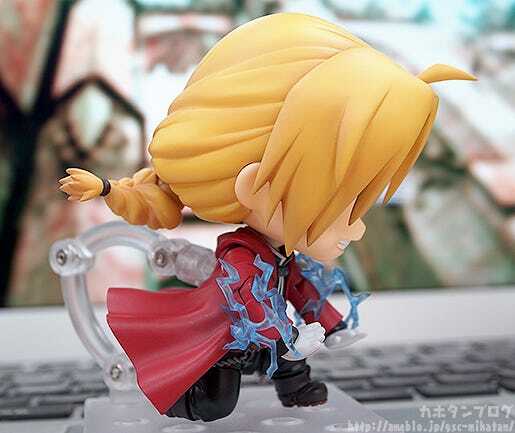 This is how the pose looks from the side! 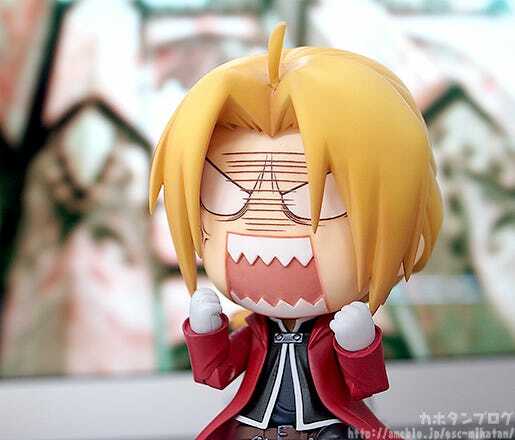 Ed having a temper tantrum after someone has mistaken his brother for him or called him short!! 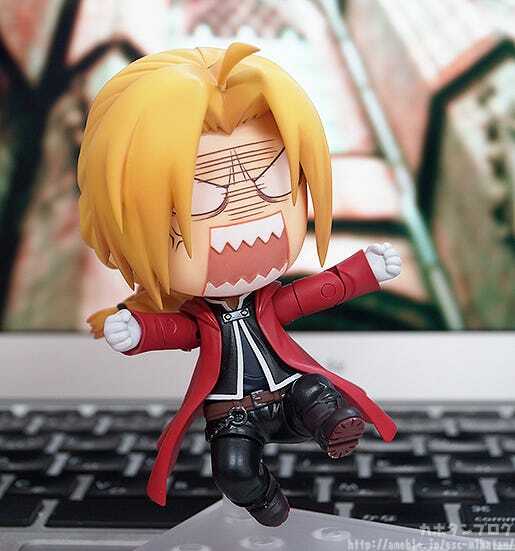 When the kneeling pose is placed up like this it looks like he is jumping around and kicking in the air! 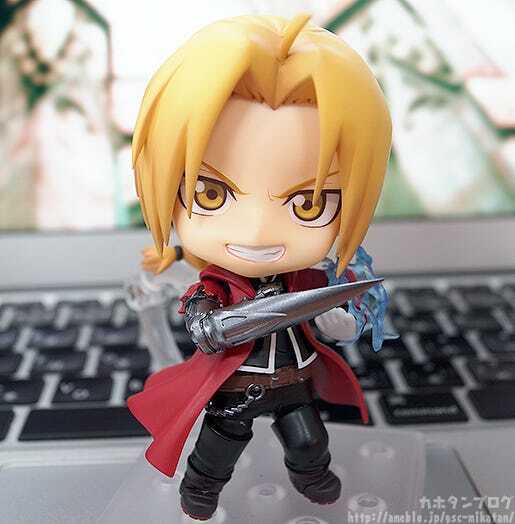 It suits the angry expression so perfectly!! 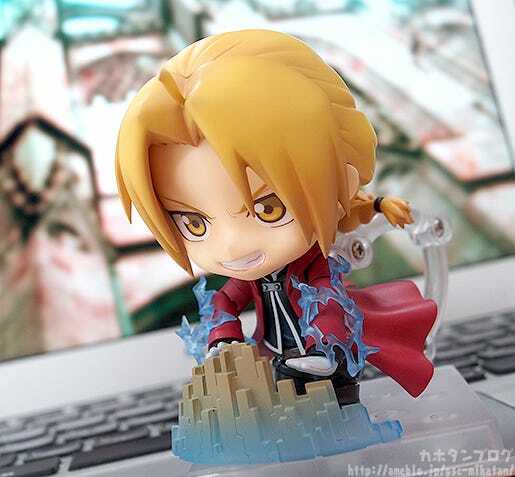 As you can see you can enjoy all sorts of different sides of the Fullmetal Alchemist with the various included parts and face plates – be sure to add the cute little shorty Nendoroid to your collection! 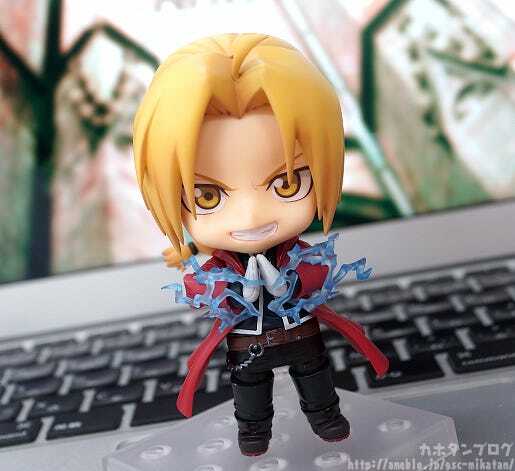 He will be up for preorder from tomorrow!! 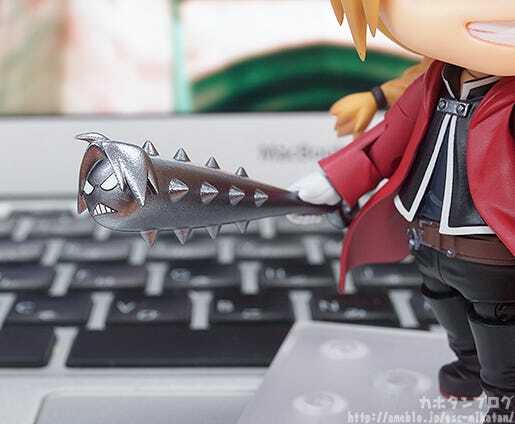 In addition, purchases from the GOODSMILE ONLINE SHOP will include a Spiked Bat & Hand Part to hold it as a bonus!! Also don’t forget that his brother will also be joining him soon! !